Apparently, the locals saw an ‘alien’ fall out of a UFO. It even climbed a tree and walked around their neighborhood. Do you believe that we’re alone in the universe? Apparently, some residents from Eldorado, a small town in Argentina, are claiming they have seen firsthand an undeniable evidence of alien life-form. In fact, these people are saying they’ve even witnessed an extraterrestrial being walk around their neighborhood. According to several accounts, the locals saw the ‘alien’ drop out of a UFO and it started exploring their place. Local news said that some residents said that the strange being retreated back to its ‘space craft’ after it was spotted by the people in the town. Using pen and paper, some witnesses attempted to draw the alien’s appearance. To describe the alien’s appearance, students even attempted to draw it using pen and paper. “Something came down, straight down. A light came straight down, more or less, and they say it lost itself in that tree. “(The alien) was small and gooey. 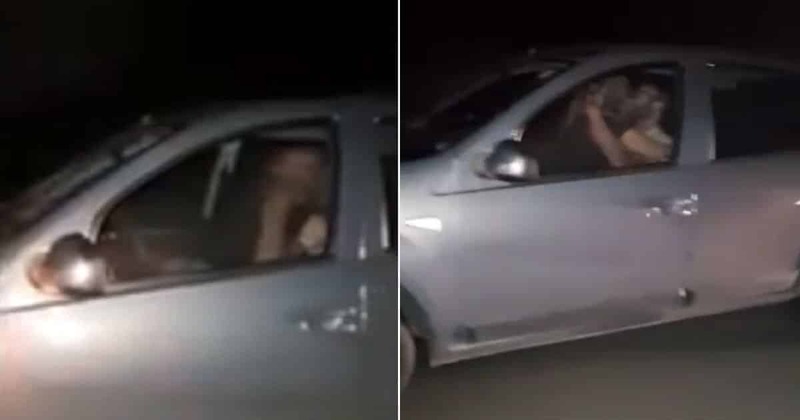 The alleged ‘alien sighting’ in Eldorado, Argentina happened May 20, 2016 at about 10 pm. As the reports tell us, the alien was spotted in Eldorado around 10:00 PM last May 20. “This is highly unusual and has not happened very often except in secluded areas with small populations. Last time was at an elementary school in Africa. “For aliens to risk their safety by walking around and examining the area, there must be something important about to happen in that area. What do you think, guys? Could this be a legit extraterrestrial sighting or a hoax? Share your thoughts in the comment box! Teen takes Washington Redskins Cheerleader to prom after 10k retweets. Walt Disney once said, “All our dreams can come true if we have the courage to pursue them.” This quote holds true, especially for one ordinary high school student from Glen Burnie, Maryland whose dream was to take a cheerleader to his school prom. But, you see, Stephen Bieber wasn't planning on inviting a regular cheerleader for the occasion. He wanted to ask the gorgeous Christa Aiken, a Redskins cheerleader, to be his date at the big spring formal dance at the Old Mill High School in Anne Arundel County. University lecturer who was determined to prove she could scale the mountain while on vegan diet dies tragically due to high-altitude sickness. A 34-year-old woman from Melbourne, Australia who wanted to prove that “vegans can do anything” tragically died due to high-altitude sickness while climbing Mount Everest on Saturday. Dr. Maria Strydom, a finance lecturer at Monash University, and her husband, Dr. Robert Gropel, a veterinarian at Ivanhoe East Veterinary Hospital, were passionate vegan campaigners. They embarked on the journey to Everest to “challenge the diet’s stereotypes,” The Sydney Morning Herald reports. It’s a scary time to be a parent in Peru right now, particularly if your child is studying at the Elsa Perea Flores School in Tarapoto. As confirmed by various reports, there has been a mass case of “demonic possessions” in the area which has caused about 80 students to experience fainting and seizures. Those who have been affected by it said that they saw visions of a “man in black” trying to kill them.